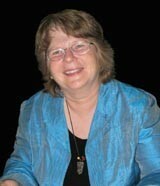 Cathy Chapman, PhD, LCSW, C.Ht., CBP, has been a psychotherapist since 1976. Over the years she has integrated spirituality, psychotherapy, energy work, and hypnotherapy into a powerful process of brief therapy. Cathy works from a spiritual and energetic model rather than the traditional medical model. The spiritual model is based on Cathy's belief that people are perfect spiritual beings who came into their physical bodies for the purpose of spiritual growth and, believe it or not, fun. Each and every life event can, if the individual allows, lead to spiritual and emotional growth. Common beliefs such as "I'm not good enough," "I'm unlovable," "Only bad things happen to me," and "My value depends on what I do," are spiritual issues that sabotage healthy relationships with God, ourselves and others. Cathy journeys with individuals helping them to discover their truths. Each person is made in the image and likeness of God; therefore, God is love and each person is love. Each of us is learning to be the love that we are as we learn to forgive, ask forgiveness, and accept ourselves and others. The journey brings us to realize that we all are part of the divine oneness. Change Your Encodements, Your DNA, Your Life! The first part of this book discusses what you call love. Love is the most powerful energy. You are made of this energy, so when you learn to harness it, you can do whatever you wish to do in your life.